IsoTek® is recognised as a leading manufacturer of effective power conditioning components that will make a difference in your system. kemela does not recommend the use of office supply store computer power bar surge protectors. These will usually supress musical dynamics and make your system sound shut in and constricted. IsoTek® power filters tackle the various causes of mains contamination from various angles in a modular multi-pronged approach - the better units having more noise reducing technology circuit methods. Differential Mode mains noise is created by all electrical appliances including your microwave oven, television and computer, as well as every hi-fi component you own. And all things containing a power supply or connected to the mains such as dimmers and LED lighting. The transition from clunky transformer based power supplies to compact switch-mode power supplies that are common in many modern devices, from computers, charging stations to kitchen appliances, has exacerbated the problem. As we plug more of these in, the more the quality of the electricity we feed our HiFi systems goes down. 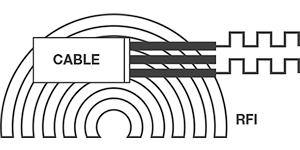 Common Mode mains noise is often referred to as RFI and is noise transmitted at higher frequencies that surround us but we cannot see. Data transmitted by wireless smartphones and tablets is picked up by cheap power cables that act as aerials for these unwanted frequencies. Even though they are outside of the audio bandwidth we listen to, they still affect the operation of analog and digital circuits. With IsoTek® power filtration, the outlets are all independently conditioned preventing cross contamination. 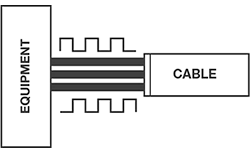 This is particularly important with digital components which can introduce noise back into the mains supply and passed on to other components. Except for dedicated high power sockets, KERP© (Kirchoff's Equal Resistance Path) ensures equal resistance and equal power delivery to all outlets. No outlet gets power before the next, a common problem with other power products which daisy chain outlets together. Is there a trade off? IsoTek® power filters are sophisticated devices using passive filtration in the less expensive models. Some transformer based products suffer from current lag. More expensive models regenerate the mains power without introducing current time lag/limitation or artifacts. Technology from the reference level IsoTek® power filters is trickled down into the popular more affordable models. IsoTek® power filters are one of the leading brands in Europe and there are many favorable reviews. Products are enjoyed by more than 100,000 customers in over 45 countries, and have earned numerous accolades from specialist audio and AV publications worldwide and the relative level of noise reduction is specified for each product.